Assignment from my Portfolio class. I had to recreate a illustration in my field of work that was poorly illustrated, figure out the reasons why it doesn't work, then make my own version that works. I found a portrait illustration online trying to demonstrate a male and female velociraptor and it had a lot of issues anatomically and visually. So here's mine, instead of a portrait I made a full scene to demonstrate a male and female. 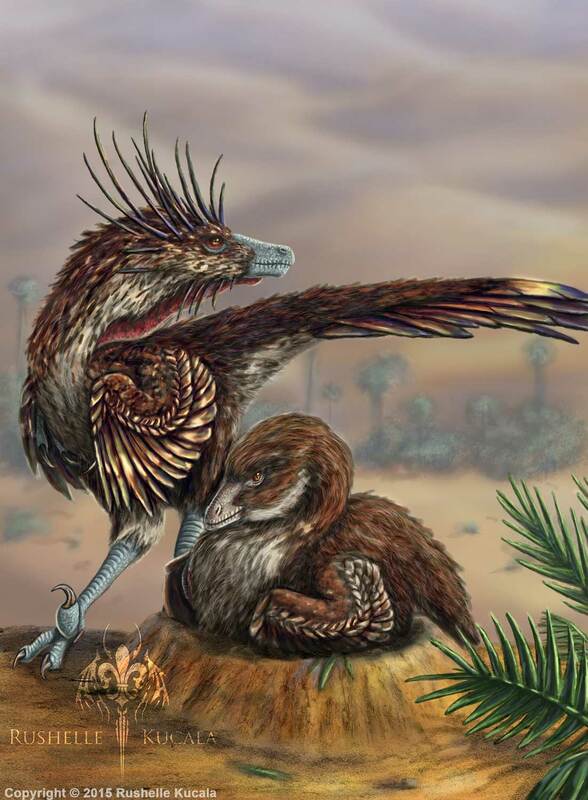 I made the female raptor brooding while the male stands by. I also made the female more earth tones, while the male more vibrant and showy for display. I was really inspired by the hoatzin bird and roadrunners. This was a really fun assignment, I always enjoy drawing velociraptors.